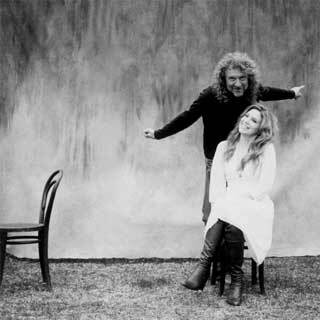 Robert Plant (Led Zeppelin) and Alison Krauss (Union Station), whose critically-lauded, Gold album &apos;Raising Sand&apos; continues to be a top-seller worldwide, play two shows at The Greek Theatre on Monday, June 23 and Tuesday, June 24 (you can buy tickets here: 6/23 | 6/24). Plant and Krauss - along with &apos;Raising Sand&apos; producer and band leader T Bone Burnett - are creating a show that will feature songs from their collaborative release, as well as from the artists&apos; extensive career discographies. And with such fantastic musical abilities to be heard, LAist is giving away two pairs of tickets, one to each excellent night of music. Enter the contest by making a comment on this post (below). Comments must fit the criteria, stated below. The criteria of the comment/entry must be about Griffith Park since that's where The Greek is located. Write down a tip, your favorite trail, a historical fact, something about the the city's great park. If you don't know it well, use the Internet. The contest closes at 11:59:59 p.m. on Thursday, June 19, 2008. Two winners will be selected at random to receive a pair of tickets and will be notified via the e-mail connected to their LAist.com login. They must confirm the receipt of the e-mail by 11:00 a.m., Friday, June 20, 2008 or the tickets will be released to another winner.